Today, October 11th, is the international day of the girl. As I’ve said again and again, living in Mozambique has made me more aware of my gender than ever before. Here woman and girls face disproportionately high rates of HIV, premature marriage, and early school drop outs because of the enormous rates of gender inequality. Fellow PCV and friend, Leah, made a beautiful and equally sobering video with help from girls in her town, about what it means to be a girl here in Mozambique. 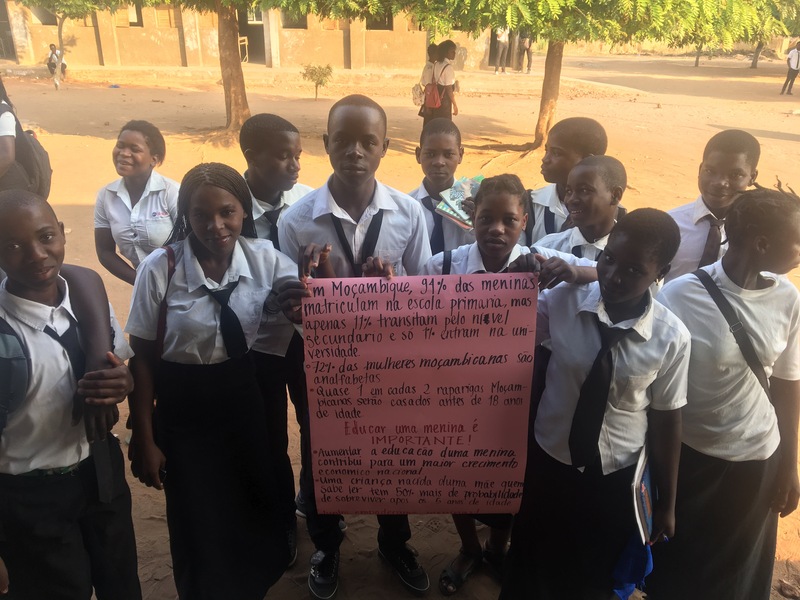 Though 94% of girls in Mozambican sign up for primary school, only 11% continue on to secondary education and less than one percent make it to college. 72% of Mozambican women are illiterate. And almost half of Mozambican girls are married before the age of 18. A child born to a mom who can read has 50% more chance to make it past age 5. And increasing women and girls’ education contributes to higher economic growth. So the point is, not only is it fair to keep empowering and educating girls around the world, but it’s also beneficial to society as a whole.